exploitation, road construction, construction industry, forest excavation. 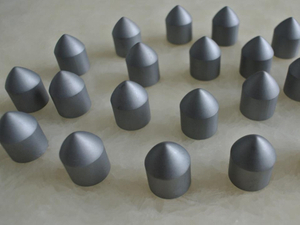 YG4C For inserting the electrical and compressed air drill bits,used in geological prospecting,coal mining,suitable for drilling coal,unsilicified shale,salt rock and other formations;Also for drilling medium hard sandstone,limestone and soft and hard rock interspersed formations. YG8 For coring crowns,electrical coal drill bits,coal cutting picks used in geological prospecting,coal mining. YG8C For rotary rock drill bits for medium soft and medium hard rock;and for coal cutting picks for cutting of stone containing formations. YG11C For tipping of bits for heavy rock drills and rotary hammer rock drills cutting hard rocks. YG13C For making drill cone to drill hard and medium hard rock formation in oil field;also for making rotary percussing drill bits and heavy duty drill bits.